My childhood pet, as a kitten. Mark Cuban: "If Viacom wants to put up snippets, scenes, mashups, mockups, quarter, half or full episodes of anything they own, there is nothing to stop them." 11 Ways to Optimize Your Mac's Performance. Patti Smith interview on Fresh Air. She was inducted into the Rock & Roll Hall of Fame yesterday. Confabb announced that it is providing the web presence for the Personal Democracy Forum in NYC, May 18. I am an investor in the company. It's likely that there will be other announcements from Confabb later in the week. Stephen Bove: "Just because music and video are the equivalent of media-crack doesn't mean it should be legal for our entire society to deny complicity in a crime of mass-media larceny, which is being co-perpetrated with these uploading sharing sites." Bove is a former employee of BitTorrent, Inc. This is the real use-case, I'm paying for my EVDO by cancelling my Tmobile wifi account, that would let me get on the net at almost any Starbucks. So the real test of the EVDO is how well it performs at Starbucks. I'm at the store on Solano and Colusa in Berkeley. Here's an idea of the kind of performance you get downloading a podcast, again from Starbucks via EVDO. Approx 120KB per second for an 11.4MB file. Quite usable. Four bars, 1/2 hour of connectivity with no problems. The big news in the tech blogosphere today is Viacom suing Google over YouTube. Obviously this is a negotiation, either that or Viacom is jumping off the bridge and hoping that the fall doesn't kill them. On 2/28/07 I observed that the entertainment industry is comfortable negotiating with the tech industry, but that's not the negotiation that matters -- they should negotiate with users, because ultimately that's how the matter of whether or not they have a future will be decided. "Might there not have been a way to make hay out of the lemonade?" Mike Arrington: "They said that Google's acquisition of YouTube would be the act that saved it from the fate of Napster - lawsuit oblivion. And they may have been wrong,"
After all the discussion of possible computer bugs due to the change in Daylight Savings Time, I'm pleased to report I had one. One of my servers didn't make the change automatically, or so it appeared. No problem, I did it manually. Then a few hours later it was back at the old time. I reset it again. Again, a few hours later it was wrong once again. I finally had a minute to investigate, and traced it to a Frontier verb, tcp.getCurrentTime. I tried running it on the server, and it displayed the incorrect time. I then found the place where it's called and disabled it, and now the clock shouldn't be off on the server. However, that wasn't the end of the mystery. When I run it on my desktop machine, calling the same government time server, time-b.timefreq.bldrdoc.gov, it returns the correct time! On more investigation, it's not quite as interesting I thought it might be. Apparently the server, which is running Windows 2000, isn't getting updates from Microsoft as my Mac OS X desktop is from Apple. My Windows machine still thinks it's in Pacific Standard Time, whereas my desktop computer knows it's Daylight Savings Time. When the clock is set locally, it's automatically adjusted properly, on the server it's adjusted improperly. Disabling the code should take care of it. And I thought it was a government foul-up! 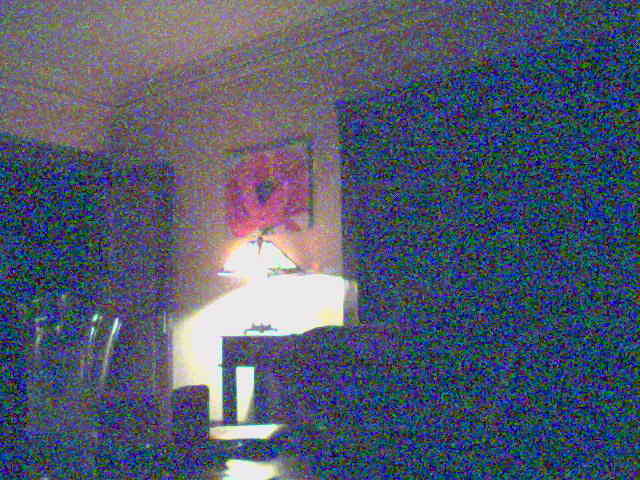 Last update: Tuesday, March 13, 2007 at 9:59 PM Pacific.